It’s extremely difficult to come up with the perfect wedding guest outfit, especially if you’re attending a wedding in a different country. It isn’t your wedding or anything but everyone’s already dressing up to the nines, why not dress up yourself as well? 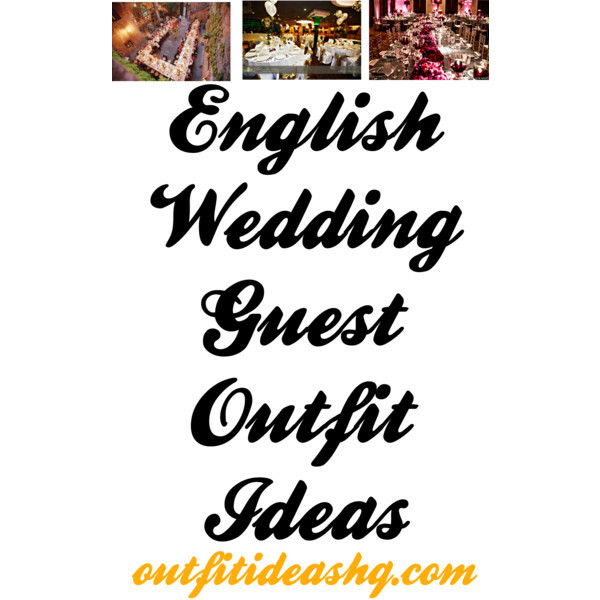 Whether it’s a morning ceremony or an evening one, a casual or a formal one, a beach wedding or a country-themed affair, or even a traditional black tie rendezvous, we’ve come up with all wedding guest ideas that will make you look fashionable and perfect for any English wedding or English special occasions. While it is a day that the bride will remember for the rest of her life, you will be wearing an outfit that will look perfect on you. When it comes to daytime weddings, bright and colorful dresses are best to pull off. You can enhance your feminine side by wearing a plain girly dress like this one or something with floral prints. It’s the perfect time to wear girly shades. Morning weddings are a lot less formal than afternoon or evening weddings. So something casual and comfortable with light shades. It’ll give you that fresh and light glow. For informal or casual weddings, go for a simple yet with a touch of flair. Choose subtle prints and feminine fabrics. For formal morning weddings, go for classy and elegant cocktail dress or a long dress. Add a sophisticated clutch and make your shoes match your dress. For semi-formal daytime weddings, wear something modest and a bit conservative. It could be colorful, embellished or any floral dress. For formal daytime weddings, a polished dress is appropriate for morning or afternoon occasion. You can wear a cocktail dress that isn’t too short or revealing. Add a hat as a finishing touch on your ensemble. 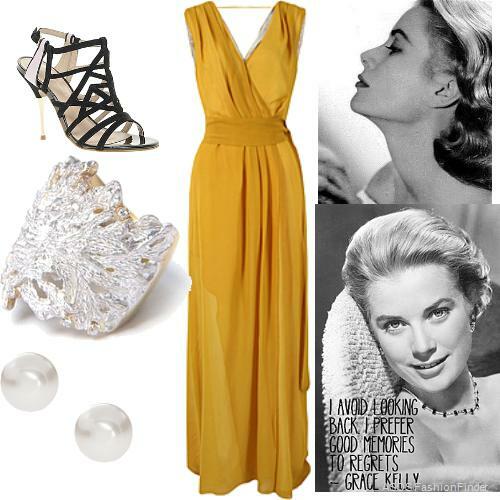 For evening weddings, find a dress that is also meant to be worn to the theater or to dinner. Think classy and sophistication. Choose elegant cuts and darker colors because it’s the perfect color to wear to evening rendezvous. You can’t also choose a long gown but keep in mind to disregard any dress with plunging back and neckline. You don’t want to look too tackless. For an informal or casual evening wedding, a cocktail dress that looks sophisticated is something you should wear. You can wear a gown but make sure it fits the atmosphere of the wedding. Sometimes wearing a gown to an informal event could make you look like you’re trying too hard. For a semi-formal evening wedding, just think of it as a step above casual or informal. That only means you have so many options to choose from. Be mindful of what you choose to wear because sometimes you’re going to look like you’re heading to the club. For formal evening or black-tie weddings, a shiny long gown will make you look glamorous and luxurious. So go ahead and balance your outfit. Think of elegance with sleek jewelry or anything sparkly for your accessories. Stay away from dark palettes. For white tie weddings, these are known to be the most formal. That means the couple has an exquisite event planned telling you what you should and shouldn’t dress. A floor-length gown is the best option. Silk and satin are the perfect fabrics and high heels (even though you won’t even see them). Wear glamorous jewelry but keep it at a minimum. Don’t do your hair and makeup yourself but instead ask a professional. Think like you’re being invited to the queen’s castle.